Bottom-Lifting Practice Cage :: Draper, Inc.
Just turn the key switch and the Bottom Lifting Practice Cage folds with no manual operation required. Lifting cables pass through d-rings on nylon belts with links attached to the netting that terminate at steel weights. 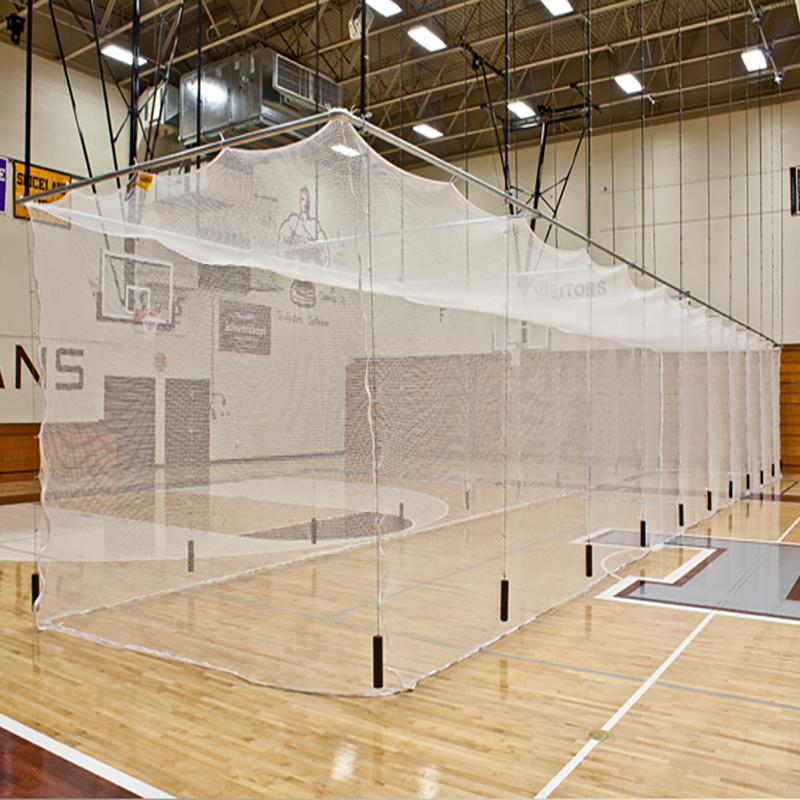 A fully-automatic netting folds to the frame as the cage is lifted to a stored position. Available in black or white knotless #252 nylon net. Features two corners with zippers for easy access. Lifting cables pass through 2” (5 cm) wide frame suspension nylon belts with links attached to netting that terminate at steel weights. Stacking dimension is approximately 4’ (122 cm).